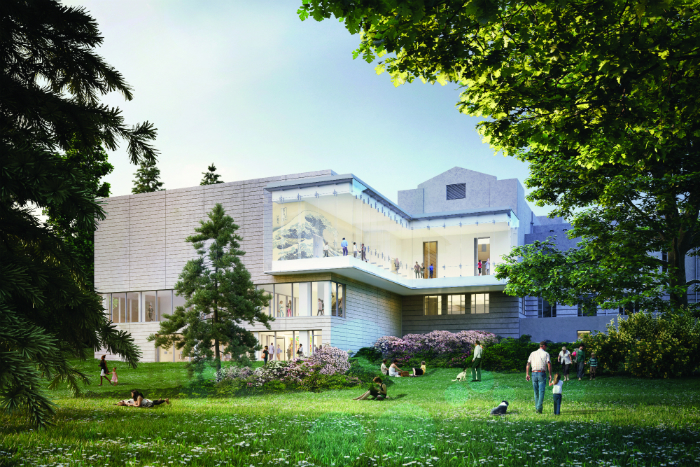 The Seattle Art Museum (SAM) has revealed renderings for LMN Architects’ expansion of the organization’s Asian Art Museum (AAM) location in the city’s Volunteer Park. The $49 million expansion and renovation will be to the historic home of the SAM, an art moderne building originally built in 1933 to house the original SAM. (The flagship SAM collection moved to a Venturi, Scott Brown-designed complex downtown in 1991). 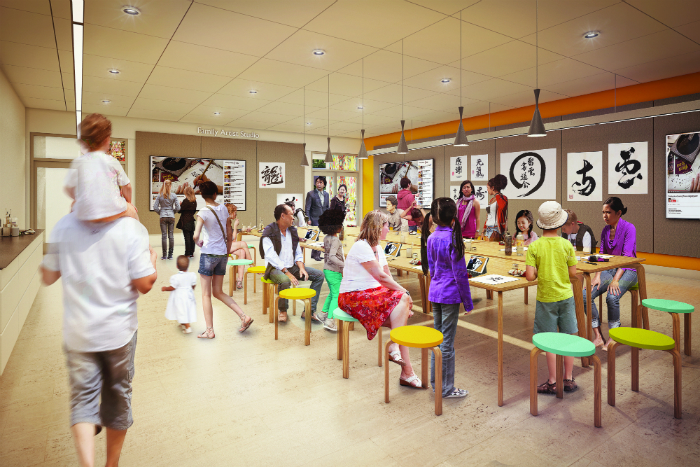 The LMN Architects-designed project will entail the first substantial renovation in the structure’s history. Historically-significant aspects of the original building, like the stone facade, will be preserved, accompanied by the wholesale addition of new programmatic components to the existing structure, originally designed by Carl F. Gould of the architectural firm Bebb and Gould. The 83-year-old building will receive crucial upgrades like Americans with Disabilities Act (ADA)-related improvements and the addition of an air conditioning and humidity control system. The building, which was not listed on the National Register of Historic Places until July of this year, will also receive a new wing along its eastern side containing a 2,650-square foot gallery, a community meeting room, and a set of new office spaces relocated from within the existing building. 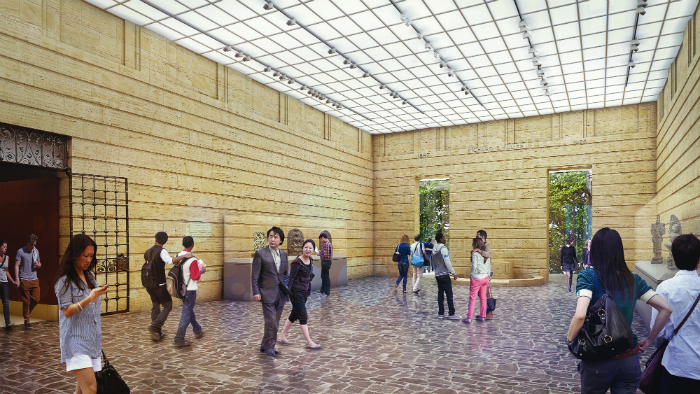 Aside from hosting new, dedicated educational spaces and potentially, a new, publically-visible Asian art conservation studio, the extension will aim to increase connections between the museum and its surrounding park spaces. 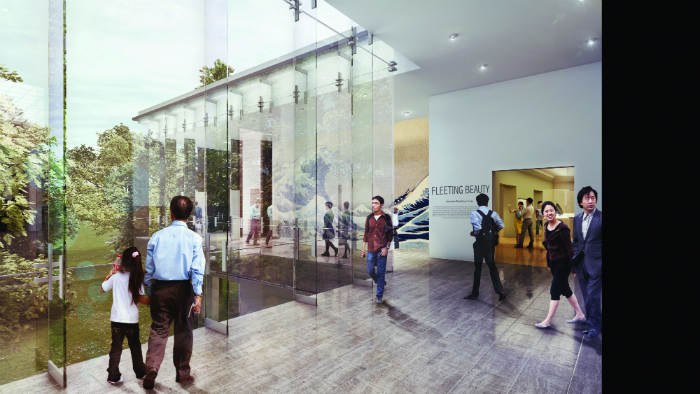 Renderings released by LMN Architects and the museum show a straightforwardly-articulated, masonry-clad, L-shaped extension overlooking a gently sloping park. Along the top floor of a three-story expansion, a large portion of the extension’s articulated facade is clad in glass and projects out over the landscape. The floors below are more solid in their massing and surface treatments, but also feature large expanses of punched openings. The SAM is currently making preparations for the two-year renovation process, which is set to begin in the fall of 2017. The AAM will hold community meetings to discuss the project throughout the following weeks, as the project moves forward. 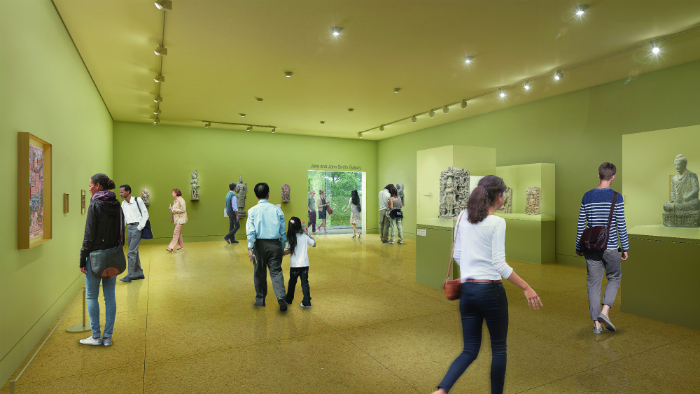 For more information on the Asian Art Museum renovation and expansion campaign, please visit the museum’s website.